In this page we are going to see complex multiplication and division. We are going to use FOIL method to multiply two numbers. We got the same answer. So it is easy to use the above rule to multiply two complex numbers. Conjugate of a complex is a number having the same real part but having the negative imaginary part. To divide two numbers we have to use conjugate of the denominator. 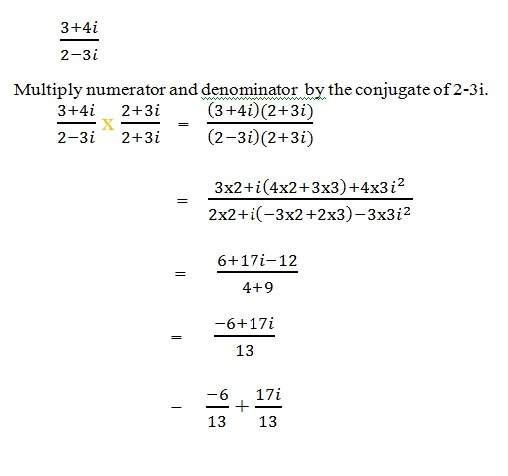 To do the division first we have to multiply the numerator and denominator by the conjugate of the denominator. Now let us do one more problem for division. 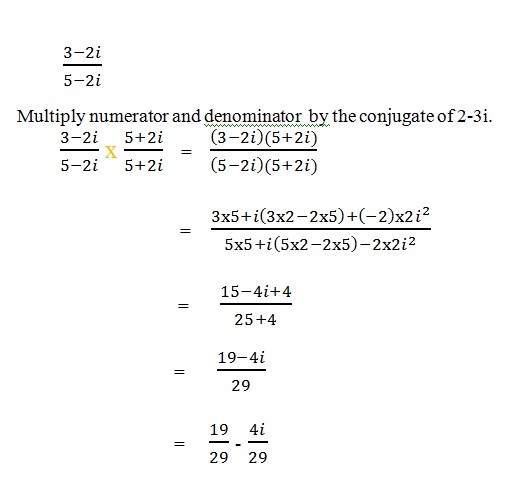 To do the division we have to multiply the numerator and denominator by the conjugate of the denominator. Using the above methods we can do complex multiplication and division. Practice the above problems well to master in multiplication and division and try to do the problems given below on your own. Solutions for the practice problems are also given. If you have any doubts please contact us, we will help you to clear the doubts. We will see some interesting fact about complex numbers. 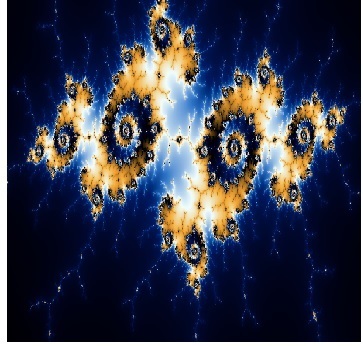 The beautiful Mandelbrot set is based on complex numbers. In this set, the sequence does not approach infinity. It is related to Julia sets. The following image of Mandelbrot set is created by sampling complex numbers. This is named after the great mathematician Benoit Mandelbrot. Complex numbers are used both in pure math and real world applications. Some functions which generate fractals includes complex numbers. Complex numbers have practical applications in technical fields. 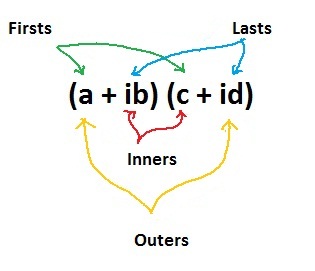 Eigen values and Eigen vectors involves complex numbers.